We have available stocks! Call us now for more info! 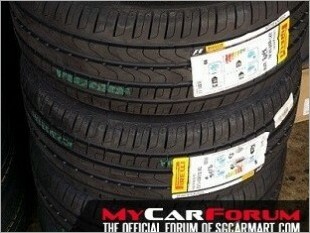 Premium Touring Summer tyre designed to be fitted to Passenger Car. 🚩Latest materials, structures and tread pattern design in order to guarantee savings, respect for the environment, comfort and safety on all road surfaces. 🚩Impressive all-rounder with satisfactory savings. Harmonious driving characteristics with stable cornering and short braking distances on wet and dry roads. 🚩Good ride comfort and a low rolling noise. Expression of the Pirelli "Green Performance" philosophy: a perfect synergy in terms of performance, safety, driving pleasure and attention to the environment. 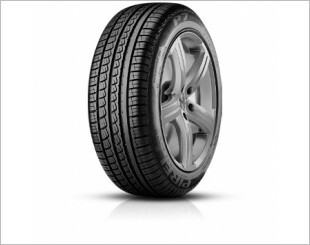 CINTURATO™ P7™ is the right choice for drivers looking for a high performance and eco-compatible tyre for medium to highpowered cars. Also available in RUN FLAT version. I am interested in the "Pirelli Cinturato P7 18" Tyre".